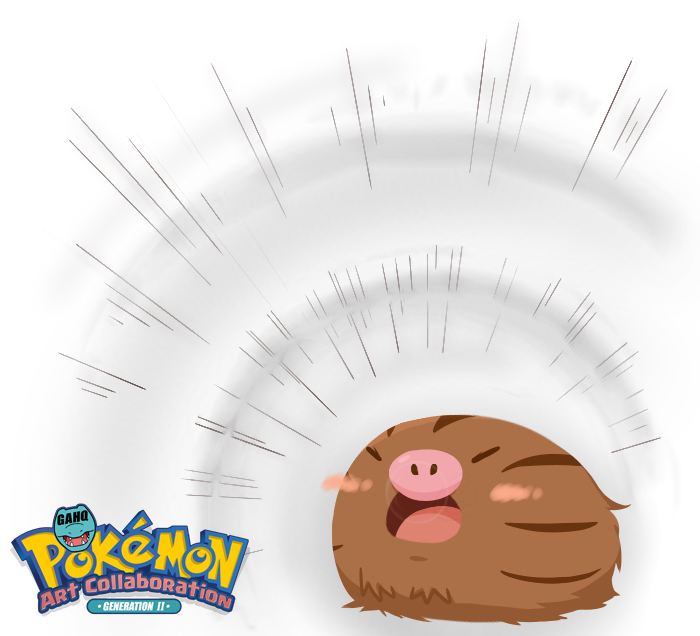 #220 Swinub used Roar and Powder Snow in the Game-Art-HQ Pokemon Gen II Tribute! MTSugarr joined GA-HQ with her special take on Shellder, just to claim a very attracting Exeggcute as well in 2016. 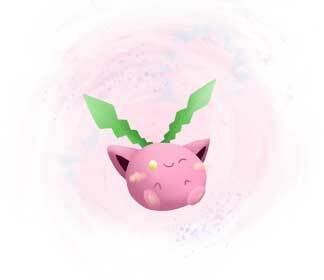 In 2017 she returned with even more Pokemon in the form of super cute takes on Hoppip, Swinub and Pupitar. If you like cute stuff, check out her whole gallery here! Roar was introduced in the classic first Pokemon games already and is a non-damaging move that was only useful against wild Pokemon until Generation II. While Roar does not deal any damage, it can be very useful if you want to end a battle against a wild Pokemon quickly, since it is going to end the battle. Since Gen II, it can also be used in battles with Pokemon by other trainers. The cool effect is that the trainer has to switch out the Pokemon with another one that is randomly chosen. 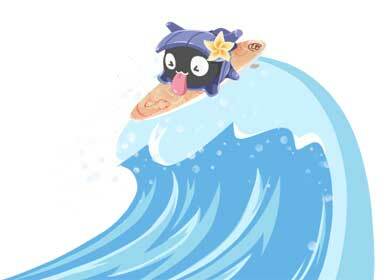 Swinub is actually the only Pokemon in our tribute so far that uses this move! And I look forward to see her again when we continue our project in 2018 ! 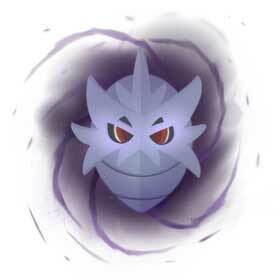 The Powder Snow is one of the Ice-Type attacks that were introduced with the Gen II Pokemon games and has a 10% chance of inflicting the Freeze status on the target Pokemon. 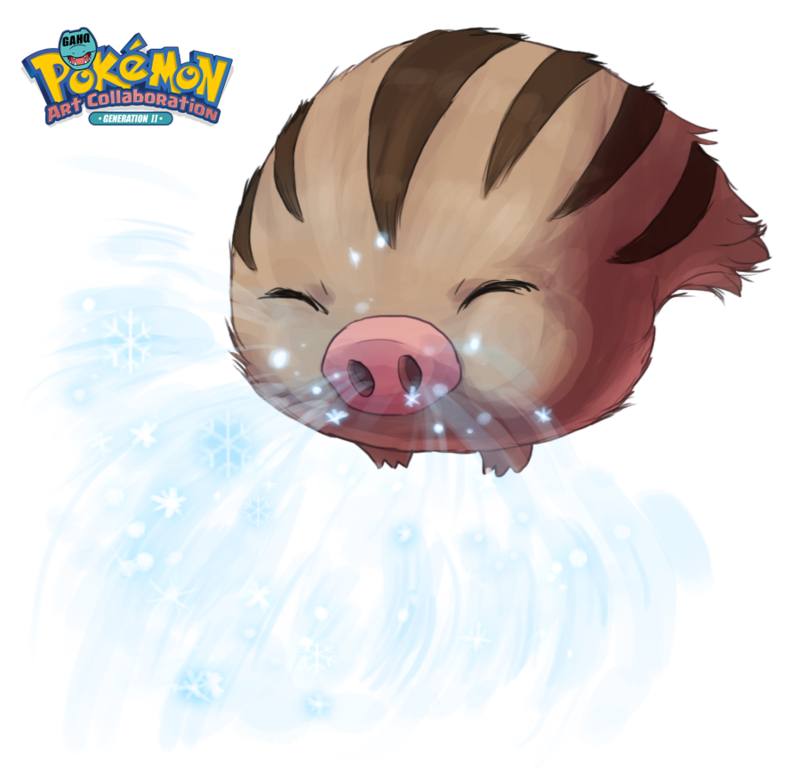 While it does not look like the other typical Ice-Type Pokemon, Swinub is an Ice & Ground Dual Type Pokemon that can evolve into the not so cute looking Piloswine when it is reaching level 33. 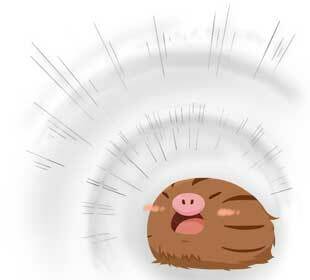 The Swinub life in cold regions but have their long brown fur which keeps them warm. 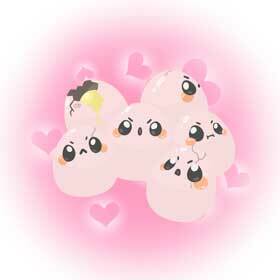 It has only very small legs and loves berries and a special mushroom that grows beneath dead grass. 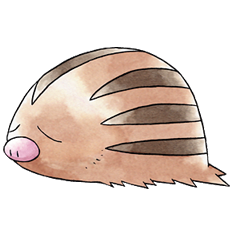 While the Swinub may look adorable, they have the lowest base stats of all Ice-Type Pokemon and also the lowest Special Defense among them. Is sure not the easiest Pokemon to level up!